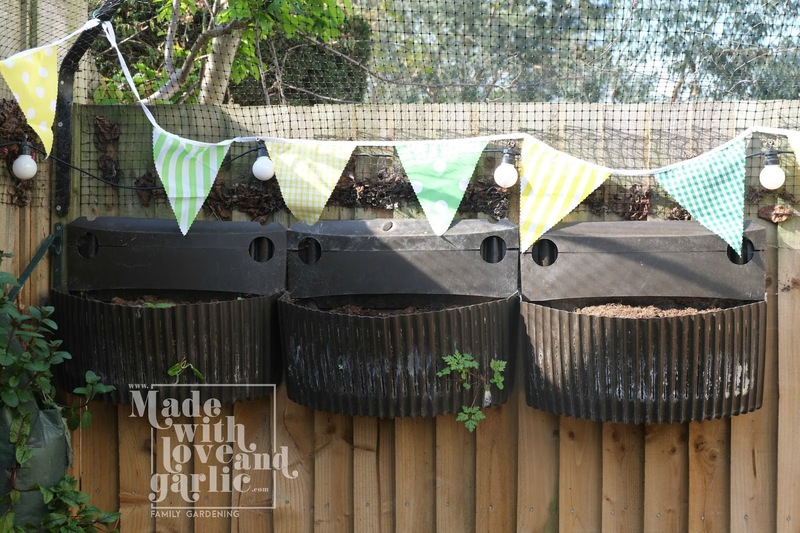 I know that I bang on and on about having to use every last bit of space in my little garden and the truth of the matter is that it all really comes down to my desire for GarlicBoy to have some space to play. That manicured handkerchief sized bit of lawn takes away a lot of growing space so wall space is ever more important. Back before we embarked on our insanely intense house renovation and extension programme (the one that stole most of 2016 from us), I had planted some white mustard in a few wall planters. Various events stopped me from ever getting around to harvesting it, and so although I do want to grow mustard, I’m prioritising garlic chives and rocket in those same pots this year. The further the year progresses, the more I realise that I don’t have nearly enough planters and that I’m going to have to buy some more to fill the fence between the playhouse and the back fence if I’m to have any semblance of a practical harvest. But in the interim, I’ve refilled them with soil and sowed garlic chive and rocket seeds. Because reaching the things means balancing unsteadily on the edge of my raised beds, arms occasionally pinwheeling in panic as seeds scatter and my husband tries not to snort with laughter in the background, this in one planting project that GarlicBoy sadly can’t get involved with but he’ll enjoy the harvest! 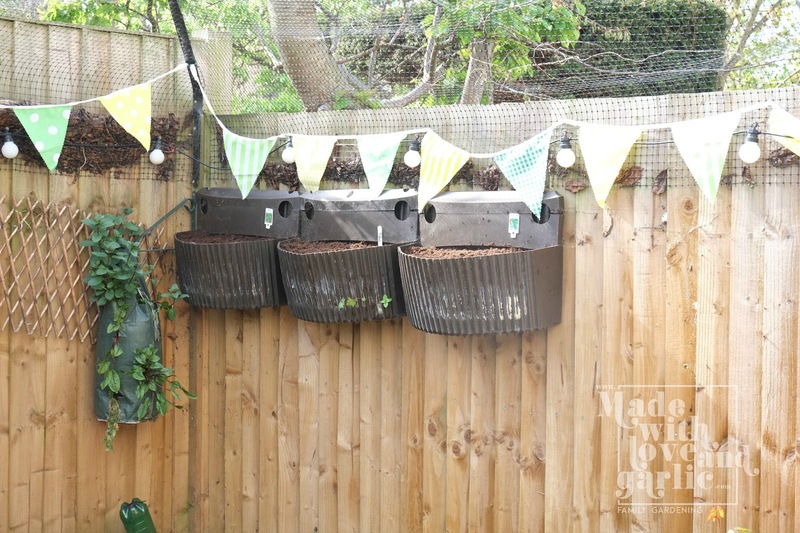 Wall planters with seeds ready to germinate. Not much difference is there?